The 4th Annual Washington International is 2/3 of the way through and the top of the A section race is pretty tight. After starting out 4-0, GM Gata Kamsky drew his next to games, allowing the rest of the field to catch up. Kamsky is tied with GM Victor Kimhalevski (ISR) who he beat in round 4. 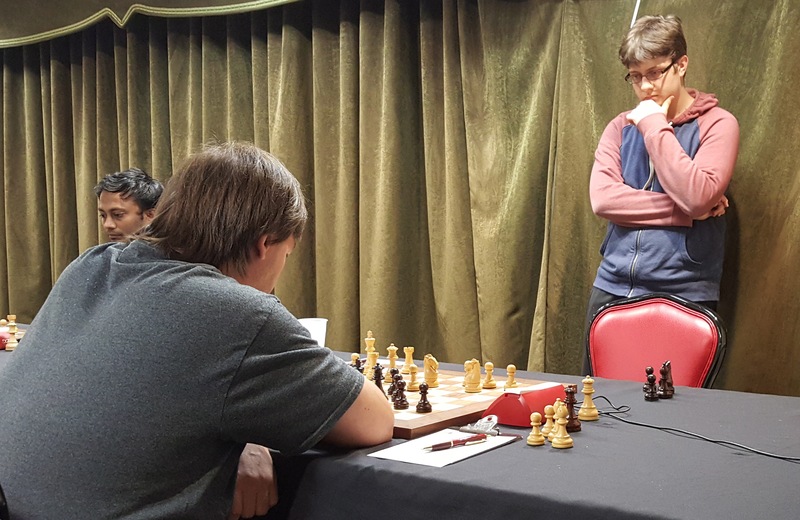 A half point behind the leaders are four GMs: Sergei Azarov (BEL), Samuel Sevian (USA), Hedinn Steingrimsson (ISL) and Arun Prasad Subramanian (IND). At this point there are several players in the running for norms. 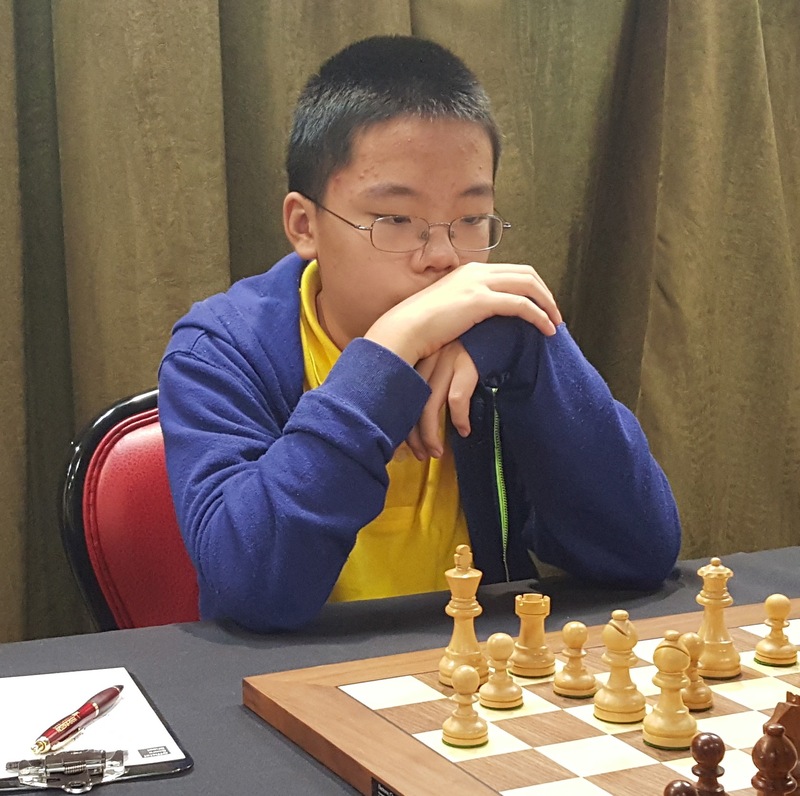 FM Ruifeng Li was at 4 out of 5 before losing in round 6. Even so, he only needs to score one out of his last three for an IM norm and 2.5 for a GM norm. Also with 4 is FM Nicolas Checa who needs 1.5 or 2 points in his last three game to earn an IM norm. 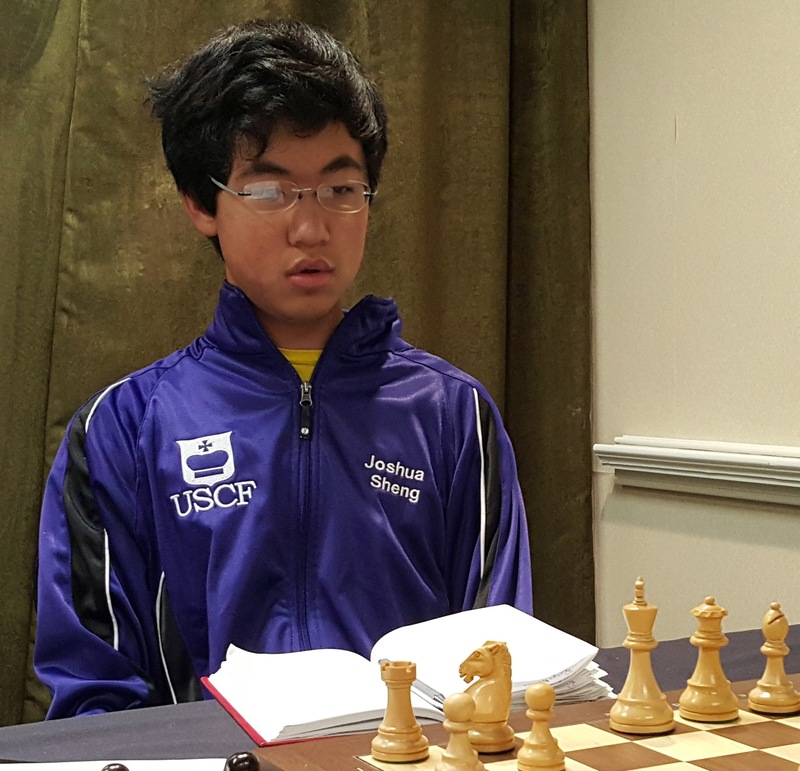 The other person in the score group with a chance for a norm is Joshua Sheng. He needs a score of about 2 and needs to play two more non-US players.The 3.5 score group has a couple of other players who have a good chance; both Igor Sorkin (ISR) and FM Gauri Shankar (IND) will earn norms if they score two in their last three games. The 3rd Annual Washington International was held from August 9-14 in Rockville, MD. 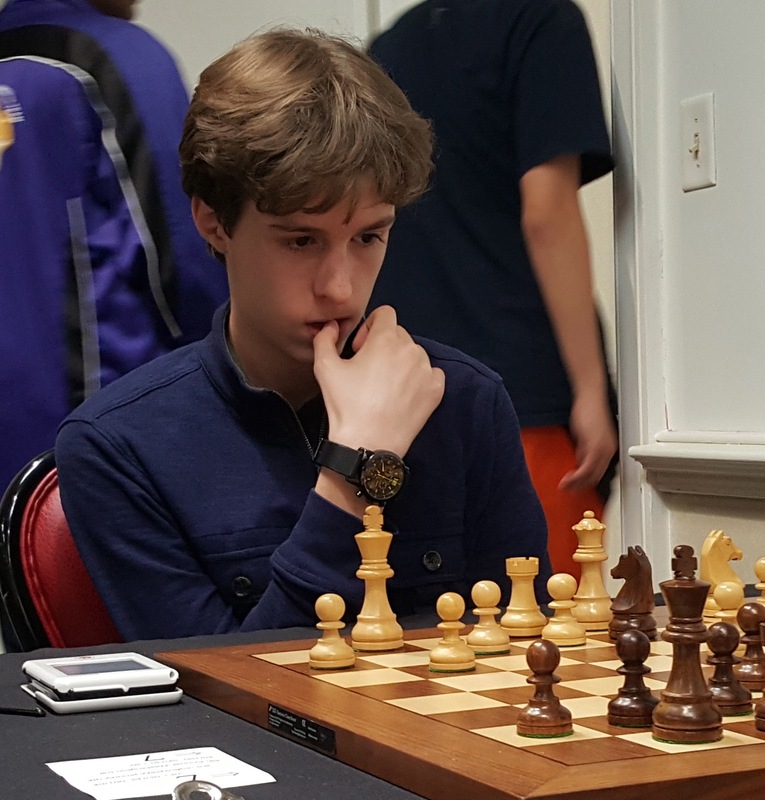 GM Sergei Azarov (BLR) won the A section with a score of 7/9 and took home the $4000 first place prize. A full point behind the winner, six players tied for 2nd: GM Yaroslav Zherebukh (UKR), GM Ioan Cristian Chirila (ROU), IM Akshat Chandra (USA), IM Samuel Sevian (USA), IM Levan Bregadze (GEO), and IM Justin Sarkar (USA).